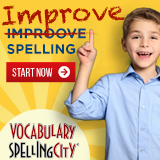 Our listing of Texas state organizations and local homeschool groups is ordered alphabetically by city, with statewide organizations listed first. If you would like to submit a group, you may do so using the red button above. Use the secondary navigation menu above to quickly make your way to pages for Texas state organizations, local homeschool groups, classes, co-ops, field trips, and more. A resource for Catholic homeschoolers in Central Texas, with listings of support groups, suppliers, and more. CFE also does a small annual convention; information is on the web site. 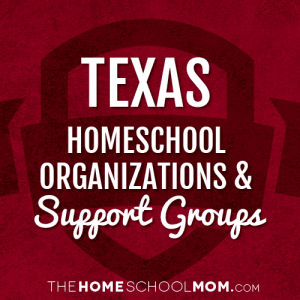 The Texas Home School Coalition is dedicated to serving the home-school community of Texas and promoting a greater knowledge, understanding and acceptance of home education in our state. A networking tool. PCHEA provides a monthly newsletter, a phone directory, monthly mentor meetings and an annual Back-to-School Extravaganza in August. An organization of Catholic homeschooling families in the greater Austin area working together to provide educational field trips and social activities for homeschooling children. Support group that focuses on Godly-based home education for Christian homeschooling families in the Howard County area. Catholic Homeschoolers of Brazos Valley, Texas, are gathering together and sharing activities, prayers, hopes and information about our Catholic homeschooling. Conroe Area Christian Home Educators (CACHE) has been a cooperative effort supporting the home schooling community in Montgomery County, Texas since 1988. 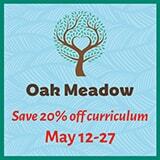 We are a homeschooling support group in the Central Texas region, based in Copperas Cove. We come together to support and motivate each other in a friendly and casual atmosphere. Common Ground Homeschoolers offers homeschooling families the opportunity for activities and interaction, support and friendship through clubs, park days, mom's nights, cooperative classes and more. Used homeschool curriculum store in Dallas/FW that also sponsors events and rents educational videos and unabridged audio books. DFW Homeschool Cafe is a support group for minority homeschool families. Home Educators Alliance for Resources and Training of Texas, Inc. A regional alliance of home school support group leaders and families who have a HEART for homeschoolers! An inclusive group in the heart of the DFW Metroplex. A community page for the homeschoolin' misfits on DFW! Join our awkward but enthusiastic fun! Ever growing innovative local homeschool group serving the Dallas, Fort worth Euless Area. Dedicated to enrich the social interactions of homeschool students by organizing series of monthly events. This is a planning and social group for home schooled "teens" who live in and around the Fort Worth area of north Texas. We are a group of Christian families interested in providing a Christ-centered education in the home. The NetworkHill Country:New Braunfels, San Marcos, Austin, San Antonio, Schertz, Cibolo, Seguin, Wimberley and Canyon Lake. A small group of families that cooperatively homeschool our children using Attachment Parenting principles in Houston, Texas. Christian Home School Support Group meeting in Houston. A group of Christian home educators coming together to support one another. LARHE is a diverse east texas homeschool group welcoming all regardless of their race, religion, political views, or homeschooling methods. Our mission is to encourage, strengthen, support, and educate home schooling families. A group for promoting activities for homeschoolers in Pearland, Texas. PEACH is a volunteer, non-profit organization committed to serving homeschoolers in Plano and the surrounding North Texas communities, including every town in southern Collin County. Home Educators Offering Moms Encouragement - Our mission is to provide Christian-based support for home schooling families in the Round Rock area. SACHSA was created to help support parents in home educating their children in San Angelo and the surrounding area. SACHSA's members include about 120 families with over 250 children in our area. Your homeschooling guide and resources for those who are home educating their children in San Antonio and the surrounding areas. We are a Christian support group, located in San Antonio, Texas, for families who are educating their children at home. Co-ops offered. An online resource and e-zine for homeschoolers in the South/Central Texas region. Offering current events, places to go, local groups to join, curriculum and book reviews, and much more. SCCHE is a cooperative of Christian families committed to supporting and encouraging one another to teach our children at home. GWCHE is a Christian volunteer support group in Waco, Texas dedicated to helping families who have chosen to educate their children at home. HEAT: Supporting Home Educators in the Wichita Falls area. Formerly Wichita Falls Area Home School Support Group (WFAHSSG).